In the winter of 2015, I met Christy Brunke at the Writer to Writer Conference in Hershey, PA. I was smitten by her smile, enthusiasm, and sincerity. We were both finalists in the Jerry Jenkins Operation First Novel Contest. I thought, “Lord, I guess I wouldn’t mind so much if she won.” The Lord was gracious! We both won book publishing contracts that year–along with our soon-to-be-friend Linda Brooks Davis! CJ: When did you know you wanted to be a writer? Who first supported you in this dream? CB: When I was born, my parents named me Christy after Catherine Marshall’s bestselling novel. You might say Marshall and her famous heroine were my first inspirations. As long as I can remember, I’ve loved reading, especially inspirational fiction. As a little girl, I was always dreaming up stories. I remember going into a patch of woods near our house and pretending I was the queen of a small kingdom. When my brother Jeremy was born, I was disappointed he couldn’t walk or talk. My solution? Create an imaginary friend named “Eremy.” In sixth grade, I won a short story contest and was rewarded with a Butterball turkey. From then on, I dreamed of writing novels, memoirs, and children’s books. My mom, another avid reader, was the first to suggest I write novels. But I probably inherited by creativity from my dad. A former singer and songwriter, he helped me plot Snow Out of Season. CJ: What did you do before you became a writer? CB: Penning Snow Out of Season was an incredible experience, but, before that, the Lord led me on other adventures. I completed a bachelor of arts in English and moved to China to study Mandarin and teach at a university. When I returned to the States, I attended seminary and taught drama and music. Then God called me to Chicago to work at a multi-site church where I fell in love with a zany youth pastor. After we got married, a story grew in my heart, one I felt compelled to share. Now was the time to pursue that long-delayed dream. CJ: Tell us a little bit about your debut novel Snow Out of Season. CB: Two pregnant women separated by time . . . Are they more connected than they know? 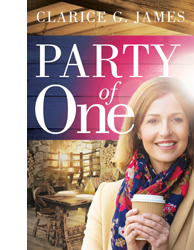 Shannon Henry is just starting to put her life back together after the death of her infant daughter when she discovers she’s pregnant again. When her doctor presents her with the choice of either raising a child with Down syndrome or terminating the pregnancy, Shannon is torn. CJ: What inspired you to write this particular book? KB: As a teen and young adult, I longed for a God-scripted love story. I devoured books like Elisabeth Elliot’s Quest for Love: True Stories of Passion and Purity. Realizing my Creator knew me better than anyone, and knew every man as well, I asked Him to choose my husband. And He did. Mark complements me perfectly and has been an incredible blessing to me and many others. But when his mom was pregnant with him, her circumstances would have led many women to have an abortion. I started wondering what my life would have been like if she’d made a different choice. So began Snow Out of Season, the dual stories of two women of two generations who struggle with the same questions. Is the child each carries worthy of life? What will it cost to keep the child? What will happen if each decides not to? CJ: How have your readers responded? CB: Fiction lovers, book reviewers, and other novelists have blessed me with their reactions to Snow Out of Season. CJ: What writing projects are you currently working on? CB: During this season of my life, I’m focusing on book events, blogging weekly, and writing articles for online newspapers. In 2017, I hope to begin writing my next book. Between novels, creative nonfiction, and children’s picture books, I have over a dozen ideas. On my website, I plan to share teasers for my best tales and ask readers to help me decide. Subscribe to my blog at ChristyBrunke.com, so you can tell me which one you’d like to read next! MORE ABOUT CHRISTY: Three months after her second daughter was born, she entered her manuscript in the Operation First Novel contest. In January 2015, Jerry Jenkins announced her story was a winner. In November, the Library Journal named Snow Out of Season the Christian Fiction Debut of the Month. 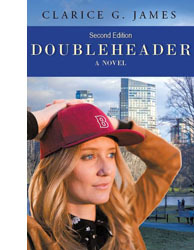 By January, it topped Amazon bestseller lists. 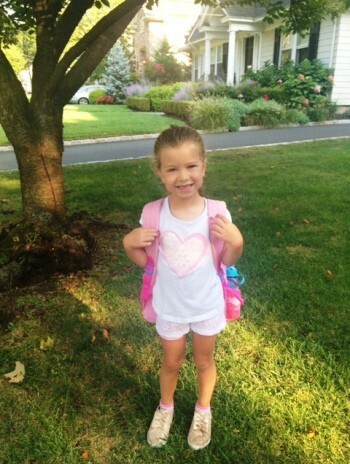 Christy Lives in Maryland with her husband, Mark, and their two adorable daughters. When she’s not at church or with her family, you can often find her blogging, writing articles, or dreaming up her next story. Click HERE and scroll down to order all three winners of the last Jerry Jenkins Operation First Novel Contest: The Calling of Ella McFarland by Linda Brooks Davis, Double Header by Clarice G. James, and Snow Out of Season by Christy Brunke. Categories: Authors, Body & Mind, Children, Faith, Family, Life Lessons, Marriage | Tags: abortion, career, DownSyndrome, dreams, family, pregnant | Permalink. My Christmas Letter: I’m amazed at all the things I DIDN’T do last year. 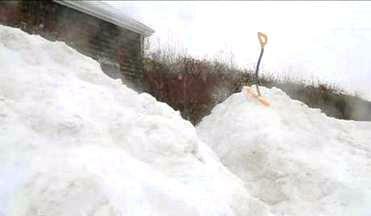 I DIDN’T shovel an ounce of the 105 inches of snow we got in the Northeast. It’s hard to shovel snow when you’re in Cancun. Not that I was in Cancun, mind you. But I do live in a condo community with stand-alone homes and low HOA fees–snow removal included. Close enough for me, by golly. I DIDN’T finish the portrait of my husband I never started. “Why not?” you ask. The answer is simple. We don’t have a fireplace, so where would I hang it? And then there’s this: I can’t draw, not even a short straw. I DIDN’T dance the cha-cha-cha. Unless you count the mornings I had too much coffee. I DIDN’T quite finish my Fall cleaning. This is not my bicycle. I DIDN’T let the strong crosswinds affect me on a 30-mile cycle trip on the Kancamagus Highway. I DIDN’T have one sore muscle. That’s a lie. I did have a few sore muscles, but that was from sleeping on our old mattress. 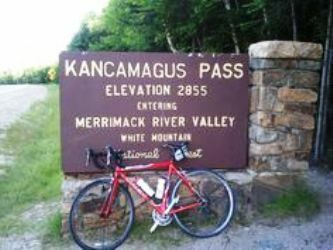 Never been on the Kancamagus myself. Don’t even own a bicycle, and slow speed is too fast for me. I DIDN’T have the problem of critters spoiling my organic garden. I chose to pay the whole price at Whole Foods and save myself a whole lot of grief. 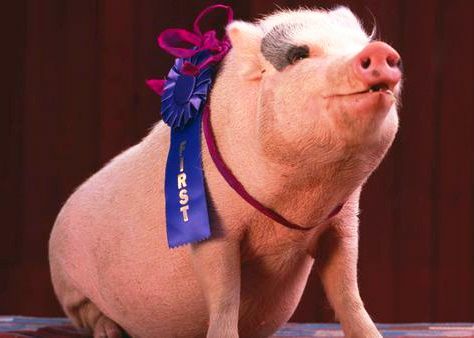 I DIDN’T win a blue ribbon at the fair for my prize hog, Ham. I DIDN’T even go to the fair. Ham and I lounged by the pool that day. I DIDN’T do a scrapbooking page for each of the things I DIDN’T do. I DIDN’T win the Publisher’s Clearing House Sweepstakes. I felt kinda bad about that for a while. The feeling passed when I realized people might expect me to do exciting stuff with all my money. Like sit and sweat in Cancun. Ride or, worse, hike the Kancamagus. Go camping. Or show off my hog, Ham, at the county fair. I DIDN’T give up on getting my first book published–and it happened. I DIDN’T stop being thankful for my family. I DIDN’T stop loving and appreciating my husband. I DIDN’T lose a loved one. I DIDN’T stop believing that Jesus Christ is Lord and Savior of the world. Categories: Children, Faith, Family, Grandchildren, Holidays, Humor, Marriage | Tags: Christmas, Christmas letter, didn't do, fall, happy, spring, summer, thankful, winter, yearend | Permalink. 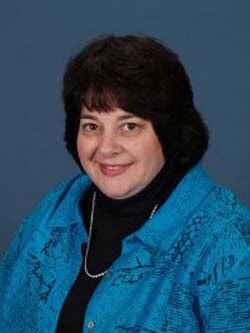 Welcome my guest blogger and freelance writer, Carol L. Raj! 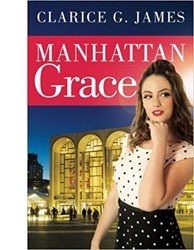 Carol was a finalist in the 2015 ACFW Genesis Contest in the category of Contemporary Women’s Fiction. Her children’s stories have been published in Pockets Magazine as well. She is the mother of three grown children–all of whom are good drivers!–and grandmother of one, who is undeniably the cutest granddaughter ever. 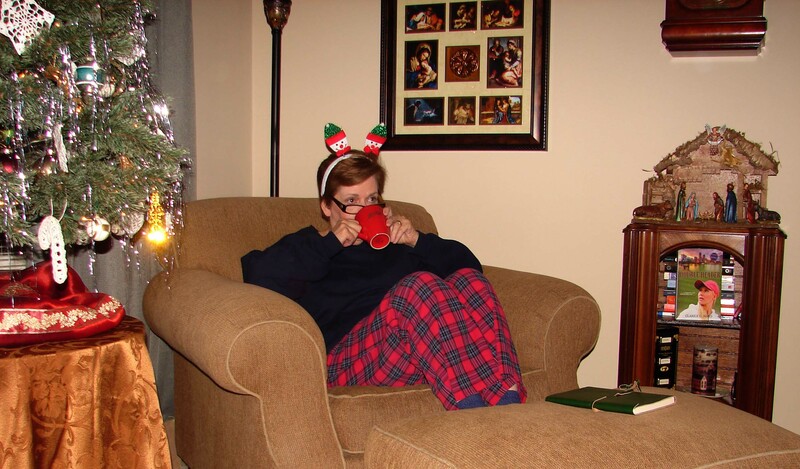 Carol resides in Merrimack, New Hampshire with her husband. Learn more about Carol on Facebook at https://www.facebook.com/carol.raj.79. She shares this true story with us today . . .
My daughter threw the notice from school onto the kitchen table, grabbed the house phone, and disappeared behind her slammed bedroom door. I could hear her voice rising and falling as she confided her latest problem to one of her friends. What could possibly be so wrong? I picked up the notice. Her state driving exam would be administered by the driving instructor at school on Wednesday at six PM. No changes allowed. I had prayed for an early afternoon appointment. Plus a little more practice time for her to master backing up. A six PM test was not in my plan. So much for the power of prayer. Lord, remember how badly she wants this license? Her greatest worry was backing the driving instructor’s car between the two parked cars he set up for the test. 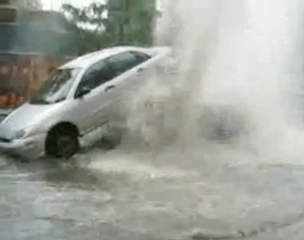 Even in daylight, it was not easy for a beginning driver. At six PM it would be pitch black. The school parking lot was lit by only an occasional lamppost. Most of her friends already had their licenses. In our small town there was no public transportation. If we wanted to go somewhere – anywhere – we had to drive. She was embarrassed to ask for rides. More embarrassed to take the school bus. And most embarrassing of all? To be driven by her mom. I understood. After all, despite what she thought, I was a teenager once myself. “If you don’t get your license this time, you’ll take the test again. No problem.” My reply seemed incredibly reasonable. A loving mother response. It was answered by the banging, once again, of her bedroom door. It was going to be a long time till Wednesday. And there was nothing I could do. Except pray that it wouldn’t rain. That would make the visibility even worse. Sunday night the weatherman showed storms marching across the continent. Monday night he said rain was probable mid-week. Tuesday night he predicted rain in twenty-four hours. Lord, remember my daughter’s driving test? Lord, are You even listening? All day Wednesday I stayed tuned to the radio. Oh, Lord. Please let the rain start after her test. She wants this license so badly. After an early dinner, she looked out the window. No rain yet. “So far, so good,” I said brightly. I turned on the kitchen faucet and pretended I didn’t hear. At 5:30 we went out to the car, buckled our seat belts, and started off. Thick clouds hid any light from the moon or stars. A drop of rain plopped on the windshield. Could have been so much worse! We could deal with a few drops. Couldn’t we? But the first drop was followed by a second. Then a third. Soon the drops turned into a drizzle. My daughter sat stony-faced, arms folded across her chest. The drizzle morphed into a steady shower. By the time we reached the parking lot, the shower was a downpour. Sheets of moisture gushed from the sky. It seemed we had taken a wrong turn and ended up under Niagara Falls. I squinted through the windshield trying to detect the lines designating parking spaces. They had disappeared. Thank goodness I wasn’t backing up into a narrow space. My daughter trudged off to the instructor’s car with as much enthusiasm as if she were going to get her braces tightened. Soon the lights of the test vehicle pulled out of the parking lot. Thirty minutes later she was back. Categories: Biblical Principles, Children, Faith, Family, Life Lessons | Tags: driving test, nerves, parallel park, pass, prayer, rain | Permalink. Speaking of the Pope and Things Catholic . . .
With Pope Francis’s visit to the United States upon us, I’ve been thinking back on my childhood. I was raised in a large Catholic family on Cape Cod. 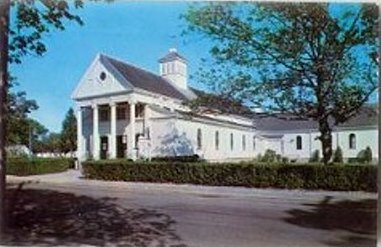 During my formative years, we attended St. Francis Xavier Church in Hyannis. 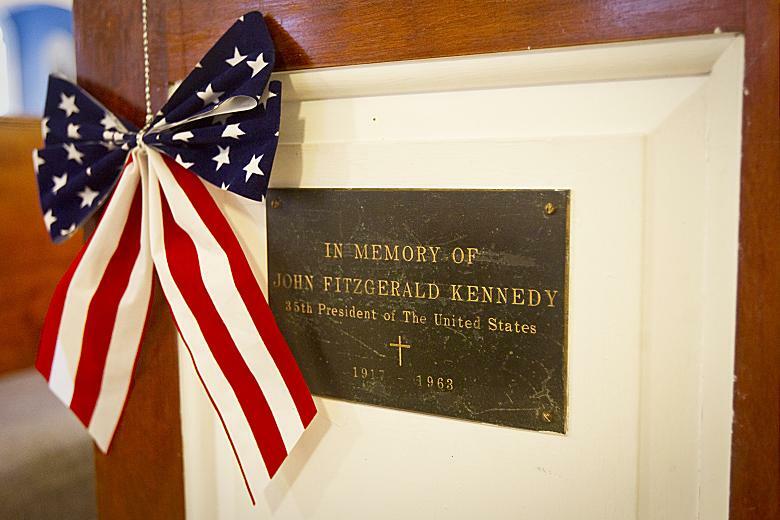 The name may sound familiar to you because it was the same church where Jack and Jackie Kennedy attended Mass in the summer, where Arnold and Maria got married, and where Eunice Kennedy Shriver was eulogized. For some reason, all the talk of the Pope has stirred my conscience. I’ve been convicted to confess a sin I’ve been holding back for decades. Even flying under the radar as a hand-raising Protestant for the last 35 years has not removed this last bit of Catholic guilt. My memory is kind of fuzzy, but I’ll do my best to recount the event accurately—then I’ll use literary license (which is not considered lying, by the way). Here’s what I remember about that day. It was still cold out, maybe a few days before Easter–one of the two major holidays which warranted two priests and all four confessional booths. The church was packed. There were three pews full of people ahead of us. My mother and three of my five siblings were there. I was around ten, maybe. I specifically recall wearing a dress under my winter jacket. I remember my mother’s long, powder blue coat. I always loved that coat on her. In church, my mother always looked holy to me. She knelt with her back straight, never resting her bum on the seat like less disciplined parishioners. She bowed her head without hunching her shoulders, and folded her hands like an artist would paint them. Her children, however, did not. We wiggled and squiggled. Especially that day, the day I interrupted my mother’s holy pose with a whisper. All I could see was the 27 people in front of us—some of them old. And old people always had more to confess, I knew that much. By some miracle I made it safely into the confessional booth and knelt gratefully on the soft, red velveteen kneeler. Seconds before the priest slid the tiny door open, I peed my pants. Follow the arrow, then skip this booth. Mortified and petrified–if not physically relieved– I confessed the sins I had on my list—except the latest one. Once I received my penance (three Hail Marys and two Our Fathers), I rushed back, crying, to tell my mother. Without a word, she maneuvered my brother into the second booth and went into the booth I had vacated. 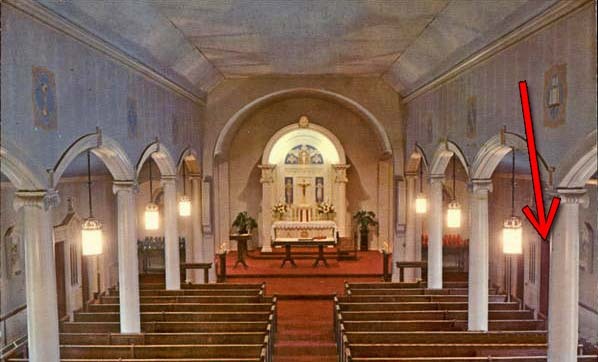 As only a mother would do, she soaked up the wet with her powder blue coat, then calmly confessed her sins, and went to the altar for her due penance. I still have questions about that day. Did the people who used the confessional booth after us blame the person ahead of them for their wet knees? Was one of them a Kennedy? Did the Secret Service investigate? Did they replace the velveteen? Am I the reason the bishop Gerrymandered the parish lines so we had to attend a different church the next year? Recently,I asked my mother about this traumatic event. She said she didn’t remember it. How could a mother not remember one of her kids peeing in a confessional booth? Were we that bad that this was a minor offense easily blotted from her memory? Perhaps God gives mothers a selective memory to keep them sane. Or does He bless them with the ability to throw their children’s sins as far as the east is from the west? Categories: Biblical Principles, Children, Faith, Family, Parents | Tags: Hyannis, Jack, Jackie, Kennedy, Shriver, St. Francis Xavier | Permalink. For weeks, I’d been looking forward to a sweet time of bonding with my two youngest grandchildren: Max, 7, and Margaux, 5. Wonderful ages, such bright and lively children. I planned to collect as many precious memories as I could squeeze into three days. I coveted the time I would spend alone with them when their parents weren’t around to bother–I mean distract us. Fantasy: First, I would interview them for my blog, making sure to record every cute and amusing answer they gave me. Fantasy: I’d snuggle up with them on the couch or on their beds and entertain them with stories. Fantasy: We’d tell each other silly jokes and laugh until our stomachs hurt. Reality: They told me one silly joke. Over and over. At one point, when I was pretend-laughing, Margaux pointed out that my teeth were a little yellow. Fantasy: We’d prepare fun meals, which we’d then share together at the dining room table. Reality: Margaux does not eat. Period. During the three days I was there, I think she had three cheese sticks, one apple Crusher, and two yogurt smoothies. I’m still not sure she swallowed. Max’s diet consists of nothing I could actually make, or if I could, I wouldn’t get it right. And he eats at the table with half his bottom on the chair, the other half on its way to a place way more interesting than the table with me. Then it takes a half hour to wipe up after him. Fantasy: We’d enjoy the local children’s museum, and I’d purchase each of them an educational toy from the gift shop. Reality: They did enjoy the museum. Yay! I had a hard time keeping up as they ran from one interactive display to another. At one point, I strongly suspected they were trying to ditch me. Big surprise, there was nothing in the gift shop they wanted. So we went to Marshalls, where we found an ice cream play set for Margaux. Max couldn’t find anything he liked there, so we went to Walgreens for Pokemon cards. A part of me thought, “Should I be encouraging a 7-year-old in a card game where fictional characters are captured by humans and trained to fight each other to the death? A bigger part of me just gave in. We also bought jelly beans and gummy bears to serve as toppings for their make believe ice cream concoctions. On our way home, Margaux spilled the jelly beans on the floor of my car. [I discovered a half dozen in my pocketbook today.] When we arrived home, Max dumped the sticky gummy bears on the carpet (a.k.a. “ice cream counter”). However, we did play make believe with the ice cream set. Over and over and over and over. Up until I told them I was lactose intolerant. Fantasy: It is possible to be a fun and responsible grandmother at the same time. Fantasy: Planning makes for more fun. Reality: Going with the flow works best. Fantasy: I’m as young as I feel. Reality: After three days, I feel every bit of old. Fantasy: Next time it will be different. Reality: No it won’t. And I wouldn’t change them for the world! Categories: Biblical Principles, Children, Grandchildren, Life Lessons | Tags: fantasy, fun, grandchildren, reality, spoil | Permalink. Nancy Ferrin is one of seven published authors who’ll be featured at the MEET & GREET LOCAL CHRISTIAN AUTHORS event scheduled for Saturday, November 1, 2014 from 3:00 to 5:30 pm at Bonhoeffer’s Café & Espresso, 8 Franklin St., Nashua, New Hampshire. Guests will enjoy FREE admission, refreshments, book-signings, special discounts, and a chance to win a Kindle Paperwhite! Click HERE to register! CLARICE: What do you want readers to experience while reading your books, Nancy? NANCY: My books, Where is My Baby and When a Prodigal Breaks Your Heart: The Search for Understanding and Hope (Westbow Press, 2012) address difficult life situations, so my desire is that readers find hope and encouragement as they relate to what is shared. Each book recounts my personal experience, ties it to scripture, and includes application questions to further engage the reader. Ideally the reader will be surprised by what we have in common and then optimistic that the Lord will provide the strength needed for their journey. CLARICE: What do you want your readers to know about you? NANCY: I am an ordinary woman, serving an extraordinary God. There is nothing commendable about me except that the Lord saw fit to enable me to share from the heart about my broken places. I am available via email for those who desire some personal support. Future plans also include the formation of support groups for parents of prodigals. CLARICE: Tell us a little bit about your book When a Prodigal Breaks Your Heart: The Search for Understanding and Hope (Westbow Press, 2012). NANCY: It’s a book for those who are experiencing the heartbreak of a wayward child or young adult. Each chapter addresses a common emotion felt by the parent in this situation, along with biblical truth to anchor the heart. CLARICE: What inspired you to write this particular book? NANCY: When one of my sons chose the prodigal path, I was worried about his choices and had no thought of writing a book. Over time, the Lord showed me the outline and I was ready to write. However, He closed the door on my ideas and I sensed in my spirit that I should wait. A few years later, my daughter choose a similar path and I realized I had more to learn before writing. One summer, the floodgates opened and I wrote the first nine chapters in less than two months. Another “hold” was placed by God so I waited nearly a year before writing the last chapter. 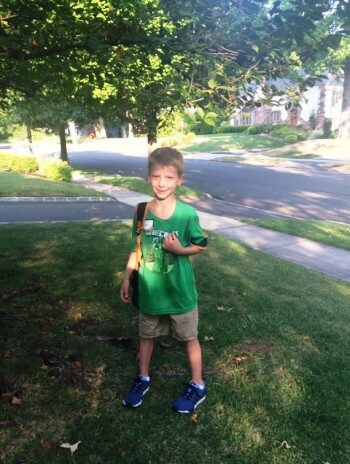 In the years following, another one of my five children chose a different, but equally divergent path. So this life journey continues to challenge me to trust God’s plan despite what I see – to walk by faith and not by sight. I know He will be faithful. CLARICE: If you could impart one thing to your readers, what would it be? NANCY: You are not alone. God has not forgotten you or your prodigal. He can be trusted to complete what He has begun in each one of us. Keep looking to Him! CLARICE: How have your readers responded to your personal stories? NANCY: Readers have been extremely supportive and kind. Many have told me they could relate to what I shared and have found hope in their own struggle. My two children whose stories are shared in the book are glad to know their troubled past is being used to shed light and spread hope to others. CLARICE: How has your faith played a role in helping you write/share your story? NANCY: God directed the process for each book. They were written according to His timetable and sometimes the words just poured into my mind as my fingers tried to keep up. Much prayer has surrounded the project, asking that He would use my words to encourage others. Funds were also miraculously provided for the expenses involved with getting the prodigal book into print. CLARICE: What did you do before you became a writer? Or what do you do besides write? NANCY: Besides writing, I enjoy leading ladies’ bible studies and speaking at retreats and workshops. Occupationally, I was a computer programmer for many years, and now teach math at a public high school. CLARICE: Where can our readers (or listeners) meet you and get a copy of your books? NANCY: At the Meet & Greet Local Christian Authors Event, 3:00 to 5:30 pm. Saturday, November 1, 2014 at Bonhoeffer’s Café & Espresso, 8 Franklin Street, Nashua, NH. They can register online by going to www.EventBrite.com and searching Meet & Greet Local Christian Authors. If they have questions about this event, they can the Event Planners Clarice James at 603-578-1860 or Cindy Saab at 978-821-6547. Categories: Children, Writing | Tags: children, family, heartache, meet & greet, memoir, prodigal, spiritual | Permalink.